Great women of the Bible have always been an inspiration for other women. They are a real reflection of feminine courage, which was not once demonstrated by their strong characters and heroic deeds. Bible is full of female characters, however, I decided to make a list of some of the strongest and courageous women in the Bible. Here you’ll find the names of those women who let’s say have changed a lot with the power of their femininity and huge courage. 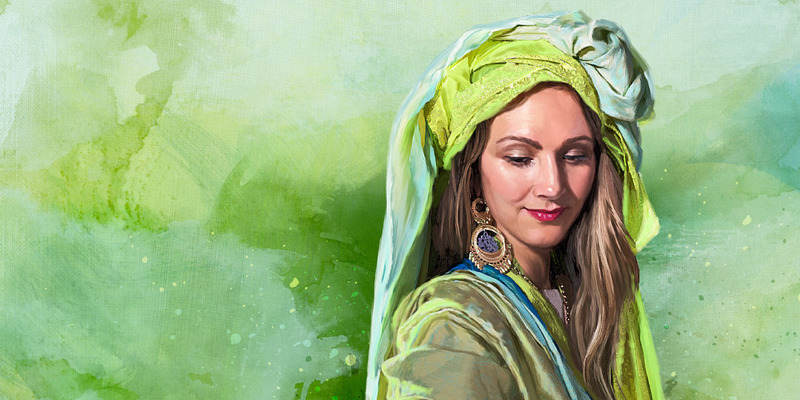 Meet the most inspiring female character of The Bible. P.S. Sometimes their braveness and power even exceeded the expectations. So, let’s start with the list of great women of the Bible! The story of Jael demonstrated that women can be sometimes too strong and cold-blooded. Sisera was pursued by the people of Israel because of some savage deeds. Sisera was cunning and managed to escape every time. When the army of 10000 Israeli men came to Sisera, he got away that time as well. He didn’t know where to hide this time. When everything was under control he came to the tent of Jael and asked her to hide. Jael immediately recognized who Sisera was. However, Jael was too clever to let him go. Sisera asked her some water. Jahel brought her a bottle of milk in a cunningly kind way. After drinking the milk Sisera fell fast asleep, which was the win of Sisera. Jael used the opportunity, sneaking into the tent with a tent peg and hammer. She pegged his head to the ground killing him. The pursuing army found him dead in the tent. Hannah suffered from infertility. The whole life she dreamed of having a son. 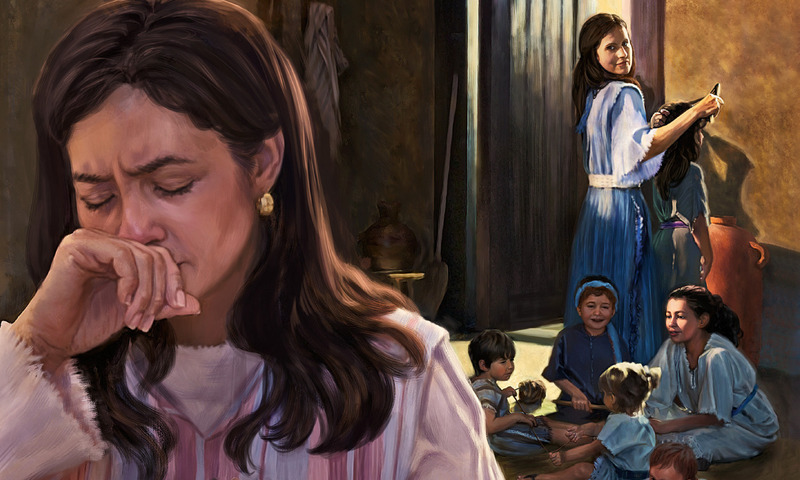 She spent many sleepless nights begging the Lord for a child, which he did not grant her. One day she during her prayers she promised the God to dedicate her son to his service in return. After all, Hannah’s son was born and she kept her promise. She took the child to the priest named Eli and left him there. The child was supposed to be raised there in the Temple. She continued visiting her son giving him seeds of belief and kindness every time. 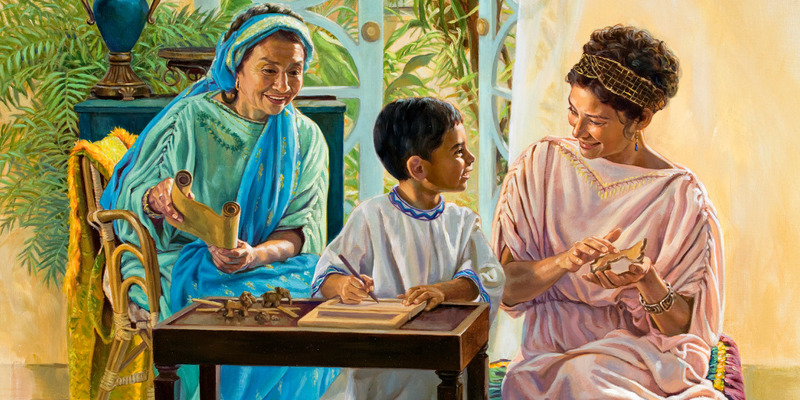 Her son grown to be one of the most influential men in The Bible, Samuel. Abigail appeared to be not very luckily married. His husband was one of the most arrogant and self-centered men you can ever imagine, Nabal. David was the future kind, which had been appointed king but has not taken the service yet. One day David sent his men to kindly ask Nabal to show hospitality and devotion to him and his servants. The servants of David were the protectors and companions of Nabal’s shepherds. As a response, Nabal told that David was lazy and egotistical and he didn’t deserve his hospitality, David was traveling with his men after the burial of Samuel that time. The response of Nabal made David angry. He prepared his army for a fight and intended to kill Nabal. Knowing about everything Abigail hurried up to prevent the tragedy. She was strong and brave enough that went to meet king David along the way. Abigail oped to save the life of her husband by this deed and she was right. David finally agreed to give up the idea of killing Nabal for Abigail’s sake. Nabal didn’t know about Abigail’s and David’s talk. She got drunk and had fun that day. H thought that he was somebody special to scare David. Abigail told him that she accepted King David as their sponsor and friend. By knowing it Nabal though that it would lead their whole household to destruction. It’s written in the Bible that Nabal was so shocked that he turned his heart stopped and he turned into a rock. By knowing about Nabal’s death, David went to meet Abigail and proposed her for marriage. David appreciated her honesty and desire to protect the family. The name of Abigail is mostly associated with courage and sensibility. Let’s agree that she fully deserves to be included in the list. The name Esther is mostly famous due to this strong and great woman in the bible. Esther was a beautiful Jewish woman. She was selected to be the wife of Persian King Ahasuerus against her will. The king exiled his former wife and intended to make Esther his wife as soon as possible. However, the king missed something. He didn’t even have an idea that Esther was Jewish. The Persian king treated Jewish people as his worst enemies and planned to demolish them. In some way, the uncle of Esther found out about the wicked plan of the Persian king. He went to Esther and told everything. He asked Esther to go to the king and beg to spare her family. However, everything was not so easy. Esther was not allowed to visit the king without an invitation. Visiting the king without invitation would mean death to her. Finally, she was convinced to visit the king for the sake of her family. She invited the kind and the right hand of the king, Haman to her house. She tried to tempt win the favor of the kind and tell Henman’s intention to kill her family. She invited them for a meal the next day as well. However, this didn’t appear to be helpful as Haman grow more and more angry with Jews and her uncle. Finally, Esther revealed the whole truth. The king and Haman were hung on the gallows that were built by Esther’s uncle. Those names are not very much known as the bible doesn’t tell as much about Lois and Eunice. However, I thought that definitely should be included in the list. Paul told Timothy that he was thankful for him and that he saw the great man who Timothy would become. The main attention in the Bible is centered on the thing what Paul taught to Timothy. However, the certain words come to prove that the honor of peters godly character didn’t belong to Paul, but also to those great women in the Bible grandmother Lois and Mother Eunice. They were very careful in delivering God’s word to Timothy and brought up an honorable man. The names of those women could not be skipped from the list by any means! Camia is the only French contributor to Women’s. Originally from La Rochelle, Camia currently lives and studies in Paris. She thinks that being a feminist is her fate: she grew up in a family with 4 sisters. Camia studies at Pierre & Marie Curie University (UPMC) in the department of Earth, Environment, and Biodiversity. Surprising, isn’t it? Though she is into science and that’s what she wants to do in the future, writing and blogging will always stay a beloved hobby for her. This is what brings Camia to us, whenever she has a little time on her hand and women’s issue to raise, she grabs her laptop and starts typing!